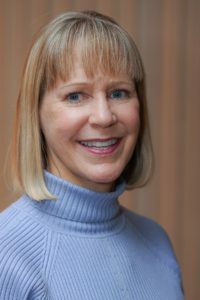 Dr. Anan is both a licensed psychologist and board certified behavior analyst who joined the faculty of MSP in 2017. Dr. Anan developed, teaches, and oversees MSP’s Applied Behavior Analysis certificate program; preparing practitioners for the expanding field of behavior analysis. 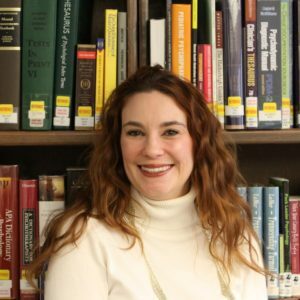 Dr. Anan serves as faculty for both MSP’s masters and doctoral programs and collaborates with students conducting behavior analytic research projects. Upon completion of her APA-accredited internship and post-doctoral fellowship in pediatric psychology at Children’s Hospital of Michigan, Dr. Anan served for 15 years as the Director of the Early Childhood Program at William Beaumont Hospital’s Center for Human Development where she conducted diagnostic assessments for children with a myriad of developmental, behavioral and emotional challenges. In order to offer behavior analytic treatment to children with autism spectrum disorders, Dr. Anan established Beaumont’s HOPE Center. Dr. Anan also provided pediatric psychology services to Beaumont’s cranio-facial and hematology-oncology medical teams. She was on the bio-medical staff at Beaumont, Royal Oak and was appointed Associate Professor at Oakland University-Beaumont Hospital School of Medicine. Dr. Anan’s passion to improve the lives of Michiganders with autism led to her service on Michigan’s Autism Spectrum Disorder Planning Work Group, the Michigan Autism Spectrum Disorder State Plan Advisory Committee, and the Autism Alliance of Michigan’s Task Force on the Evaluation of Autism Spectrum Disorders. Prior to the passage of Michigan’s autism insurance reform bills, Dr. Anan testified in the State House of Representatives in support of this legislation. Dr. Anan currently maintains an independent psychology practice in Novi where she provides diagnostic evaluations and therapy services to children and adolescents. She also provides consultation to agencies providing applied behavior analysis for children with autism. Anan, R. M. (2009, October). Innovative behavioral treatment of selective mutism. Workshop presented at the Midwest School Social Work Conference, Dearborn, MI. Pawich, T. L., & Anan, R. M. (2009, February). Behavioral treatment of an 11-year-old boy with longstanding, severe selective mutism. Paper presentation at the annual meeting of the Behavior Analysis Association of Michigan, Ypsilanti, MI. Warner, L. J., Anan, R. M., & McGillivary, J. E. (2009, February). Developmental outcomes of intensive parent-training program for preschoolers with autism. Paper presentation at the annual meeting of the Behavior Analysis Association of Michigan, Ypsilanti, MI. Anan, R. M., Warner, L. J., McGillivary, J. E., Chong, I. M., & Hines, S. J. (2007, February). Accelerating the learning rate in preschoolers with Autism using a parent-training model. Poster presentation at the Association for Behavior Analysis: Progress and Challenges in the Behavioral Treatment of Autism, Boston, MA. Anan, R. M., McGillivary, J. E., & Krug, E. F. (2004, October). Successful family treatment approaches for children with Autism. Workshop presented at the 22nd Annual Scientific Meeting of the Society for Developmental & Behavioral Pediatrics, Chicago, IL. Anan, R. M., & McGillivary, J. E. (2004, July/August). Hands-on parent education for families of preschoolers with Autism. Poster presentation at the 112th Convention of the American Psychological Association, Honolulu, HI. McGillivary, J. E., & Anan, R. M. (2004, May/June). The hands-on parent education (HOPE) center for families of children with Autism. Paper presentation at the 30th Annual Association for Behavior Analysis Convention, Boston, MA. Anan, R. M. (2004, May). Treatment of autism. Presentation at the Annual Michigan Genetics Symposium, Detroit, MI. McGillivary, J. E., & Anan, R. M. (2004, March). The hands-on parent education (HOPE) center for families of preschool children with Autism. Paper presentation at the Behavior Analysis Association of Michigan Conference, Ypsilanti, MI. Anan, R. M., & McGillivary, J. E. (2003, May). Beaumont brings hope: Evidence-based Autism treatment. Presented at William Beaumont Hospital Department of Pediatrics Grand Rounds Lecture, Royal Oak, MI. McGillivary, J. E., & Anan, R. M. (2003, March). The hands-on parent education (HOPE) center for families of children with Autism. Poster presentation at the Behavior Analysis Association of Michigan Conference, Ypsilanti, MI. Anan, R. M. (2003, October). Behavior management techniques for children with Asperger syndrome & high-functioning Autism. Presentation at the Michigan Association of Non-public Schools Convention, Detroit, MI. Anan, R. M. (2001, March). Behavioral techniques in the treatment of selective mutism. Paper presentation at the Behavior Analysis Association of Michigan Conference, Ypsilanti, MI. Anan, R. M. (2001, August). Behavior management strategies for primary care pediatricians. Presented at the Michigan Chapter of the American Academy of Pediatrics Annual Meeting, Grand Rapids, MI. Anan, R. M., & Pawich-Perry, T. L. (2010). Innovative behavioral treatment of selective mutism: A hierarchical shaping protocol. In A. M. Columbus (Ed. ), Advances in Psychological Research (Vol. 67, pp. 83-99). New York, NY: Nova Science Publishers. Anan, R. M., Warner, L. J., McGillivary, J. E., Chong, I. M., & Hines, S. J. (2008). Group intensive family training (GIFT) for preschoolers with autism spectrum disorders. Behavioral Intervention, 23, 165-180. Turkington, C., & Anan, R. M. (2007). The encyclopedia of Autism Spectrum Disorders. New York, NY: Facts On File Publishing. Lakey, B., Drew, J. B., Anan, R. M., Sirl, K., & Butler, C. (2004). Negative interpretations of interpersonal situations and the relation between low perceived support and psychological distress among divorced adults. Journal of Applied Social Psychology, 34, 1030-1047. Lakey, B., Anan, R. M., Sirl, K., Drew, J. B., & Butler, C. (2000). Exposure to major stressors may reduce dysfunctional cognition about them. Journal of Applied Social Psychology, 30, 2079-2091.